Korean BBQ ribs from Snackbar-B-Q. 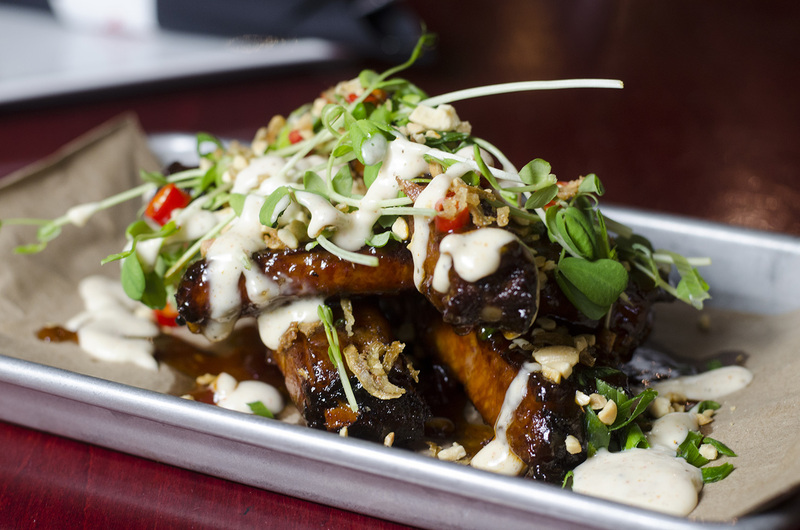 Snackbar-B-Q has launched a brand-spanking new menu today chock-full with BBQ goodness. 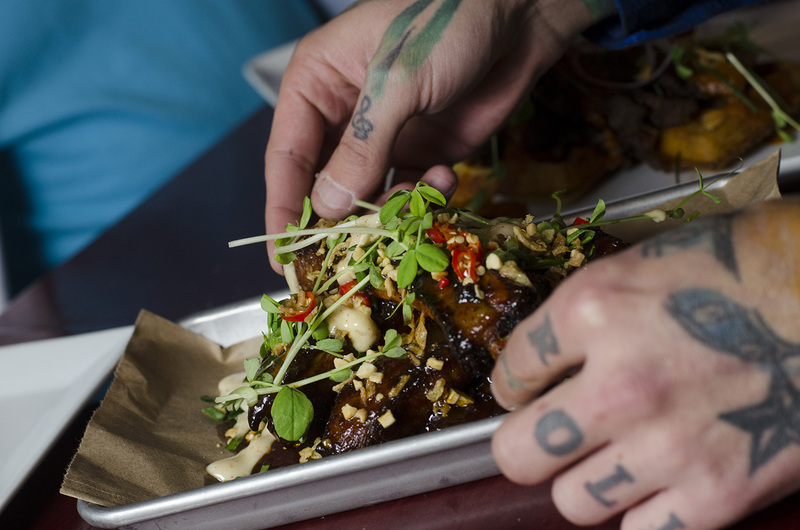 The downtown restaurant has put a focus on smaller plates to encourage sharing and better represent the name of the restaurant. It also embraces good ol’ barbecue with a twist as some Asian influences poke their head on some of the dishes. First on the list is exactly the type of Asian influence we were talking about. Ribs are a must-have staple for every BBQ joint. Now smother them in a Korean BBQ glaze and sprinkled with crushed peanuts, fried garlic, red Thai chili and scallions. Some people get scared with any mention of eating bone marrow. Those people don’t know what they’re missing. 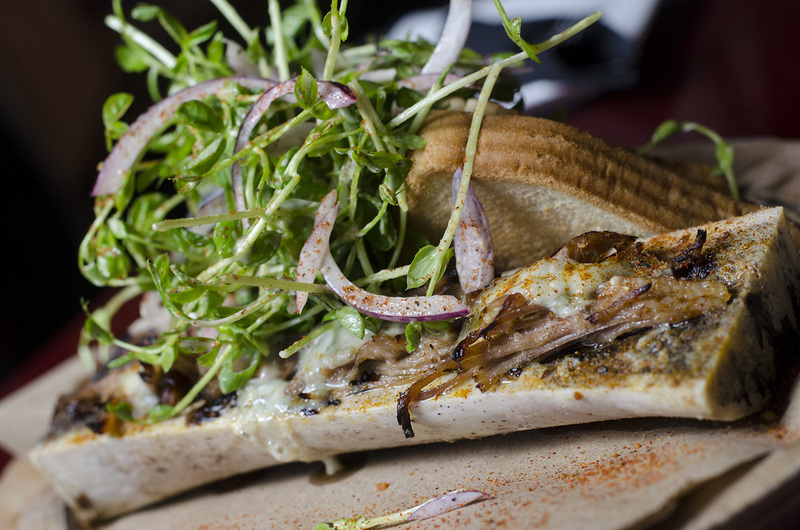 Alone, marrow melts in your mouth with an explosion of flavour. Now consider it topped with pulled pork and blue cheese and served with sides of garlic toast, bacon jam and a pea shoot salad. Kapow! For those who haven’t tried fried chicken and waffles yet, what are you waiting for? 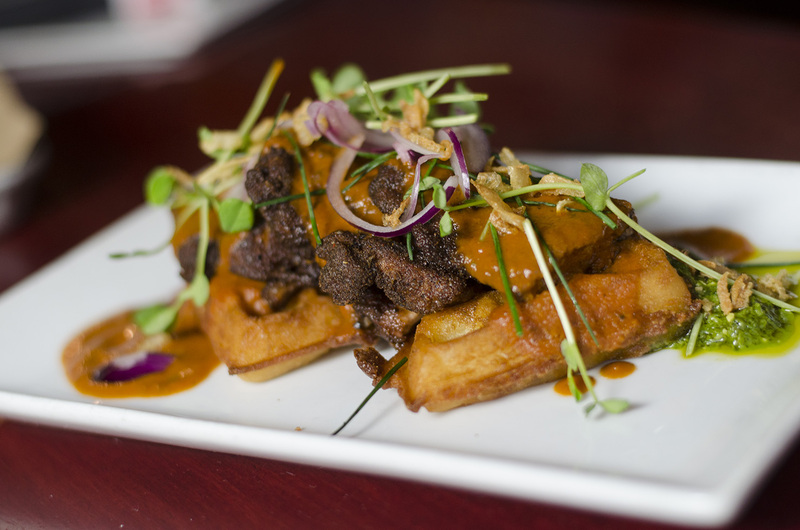 Chef Jim places smoked chicken thigh on a fried waffle and douses it in red onion, chives and butter chicken sauce. Mmmmmm. Butter chicken sauce. Chicken & Waffles with an Indian twist. You had me at pork belly. 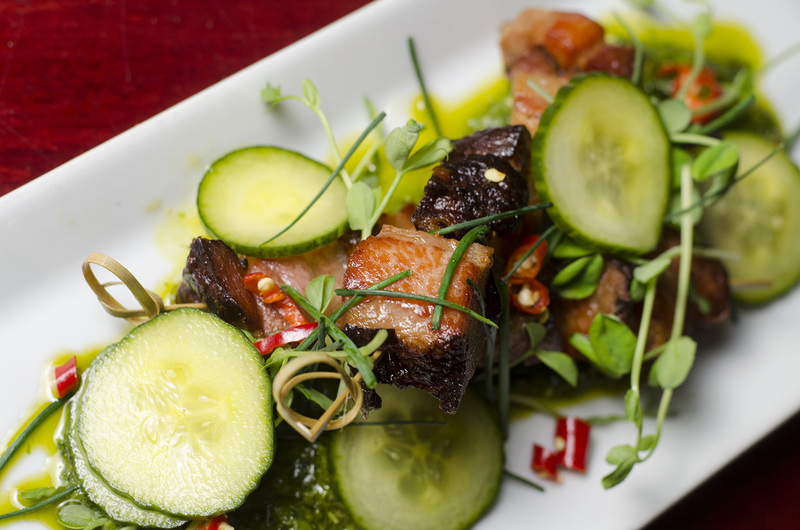 The satays lay on a bed of pickled cucumbers, Chimichurri sauce and red chillies which all compliment the pork perfectly. Co-owner Mark Boscariol affectionately calls this tasty dish faux pho. 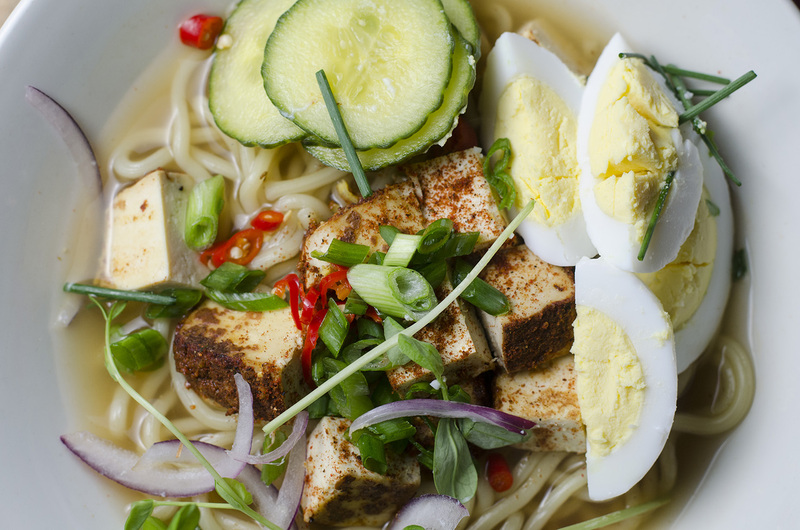 The traditional Ramen noodles sit in a bowl of ginger and smoked vegetable broth while a side of creative garnishes and egg are served on the side for you to add as you choose. Snack also allows you to choose from pork, brisket or smoked tofu. Redneck Pho, or as Snackbar-B-Q co-owner calls it, Faux Pho.